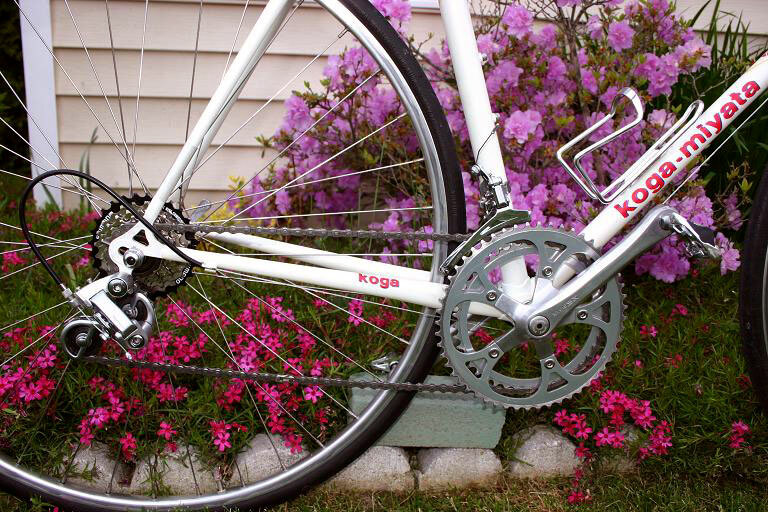 This is my Koga-Miyata road bike. 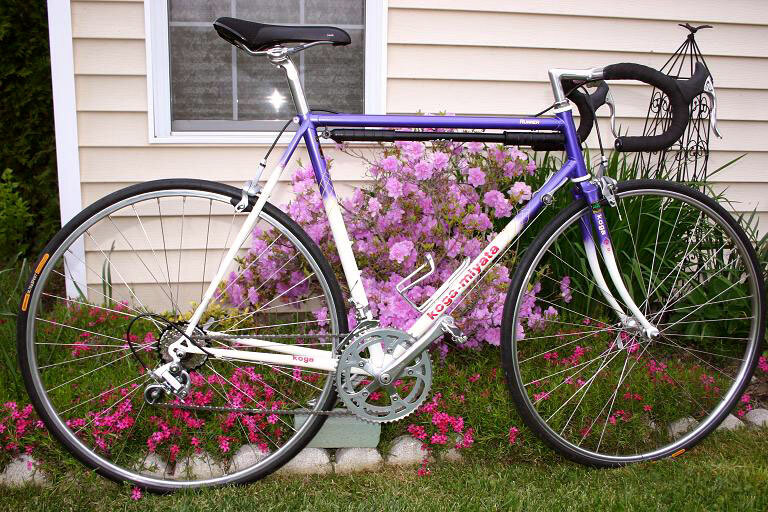 It is a lugged, triple-butted steel frame bought NOS from an iBOB list member. I built it up with an assortment of inexpensive, Japanese-made components that work pretty darn smoothly. 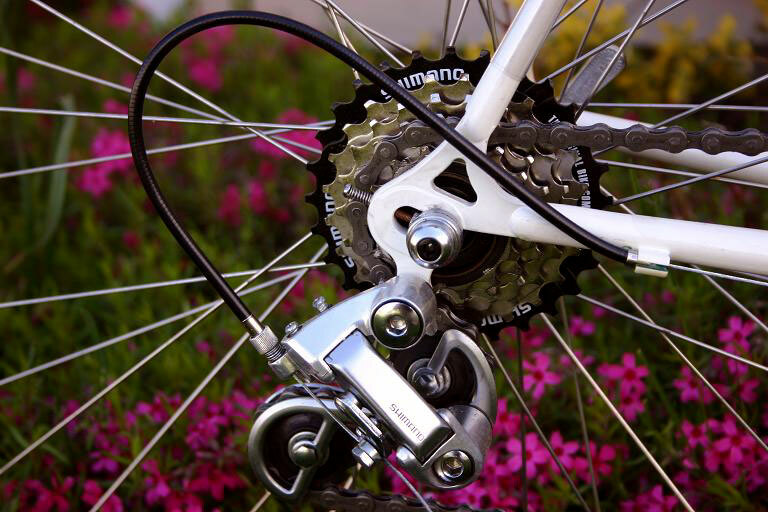 It has a 6-speed, indexed drivetrain (14-28 T)with Shimano derailleurs, downtube shifters and Sakae cranks. The wheels are Sunshine "Gyromaster" hubs with 700c Araya rims, and the stem/handlebars are Sakae.